ESENIAS and the ESENIAS-TOOLS project were presented at the workshop on ‘Invasive Alien Species Management: Review of Activities in Bulgaria’. The workshop was held on 25 February 2016, in Sofia. 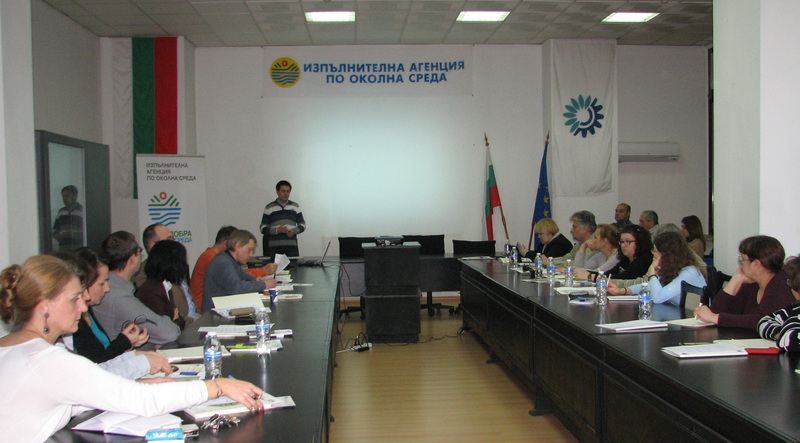 It was organised by the Institute of Biodiversity and Ecosystem Research, Bulgarian Academy of Sciences (IBER-BAS), and the Executive Environment Agency, Ministry of Environment and Water of Bulgaria (ExEA), within the frame of the project BG03.PDD1 ‘Improving the Bulgarian Biodiversity Information System’(IBBIS), D-33-72/20.07.2015, Task 3: ‘Development of a module for data collection and risk assessment of invasive alien species in Bulgaria’, funded by the Financial Mechanism of European Economic Area 2009-2014. The workshop was attended by representatives of national governmental and research institutions, including the Ministry of Environment and Water, ExEA, Regional Inspection of Environment and Water – Sofia, Ministry of Agriculture and Food, Bulgarian Food Safety Agency, Executive Agency of Fishery and Aquaculture, Executive Forest Agency (ExFA), Sofia Zoo, Botanical Garden Sofia, IBER-BAS, Sofia University, Agricultural University Plovdiv, and others. The objectives of the workshop were: (1) to inform participants about the IBBIS project and tasks on invasive alien species (IAS); (2) to present activities of the institutions in Bulgaria related to IAS management; and (3) to discuss potential contribution of different institutions, represented at the workshop, to the implementation of the Regulation (EU) No 1143/2014 of the European Parliament and of the Council of 22 October 2014 on the prevention and management of the introduction and spread of invasive alien species. Furthermore, participants discussed current issues as a result of spread and impact of alien species, such as: Ambrosia artemisiifolia, Panicum capillare, Trachemys scripta elegans, and Myocastor coypus, in Bulgaria, as well as the availability of data on alien species collected by different institutions, possibilities for data exchange and collaboration, etc. The IBBIS project is coordinated by ExEA and has 3 project partners: IBER-BAS, ExFA and the Norwegian Institute for Nature Research (NINA). IBER-BAS is leading the Task 3, which main goal is to develop IAS module/ functionality of the National Biodiversity Monitoring System for collecting, storing, retrieving and analysing data on alien species, in order to inform policy makers and raise public awareness in Bulgaria. This will include the development of software and tools, development and testing of methods for monitoring and risk assessment of alien species, and the creation of links and collaboration with ESENIAS and the ESENIAS database.